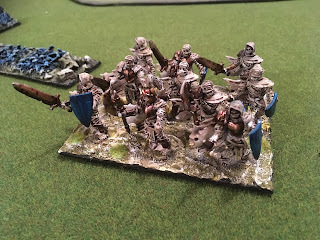 A little more painting progress on the Armies of Dust army for Mantic's Kings of War rules. The 'swarm' represents scarab beetles and other swarmy scuttley squeamy greeblies. The army box set came with three bases. 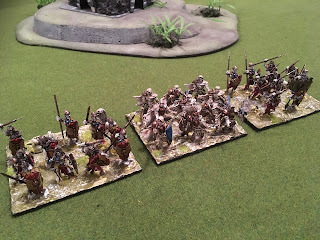 I also had two bases I'd bought years ago from the GW Tomb Kings range. 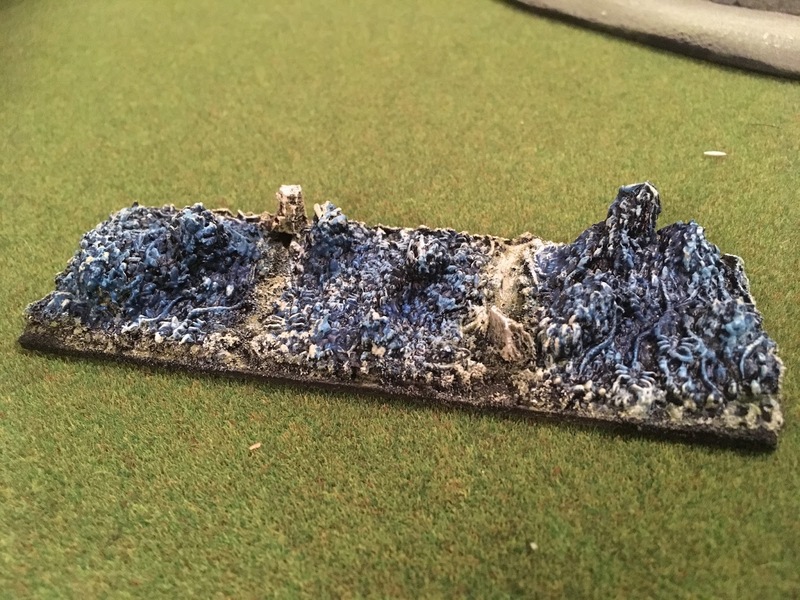 I created two regiment bases, one with the three bases, the other with the two augmented with some 'stone blocks' and other bits. I've also completed a regiment of 'mummies'. The box set comes with 20 mummy figures, requiring assembly. 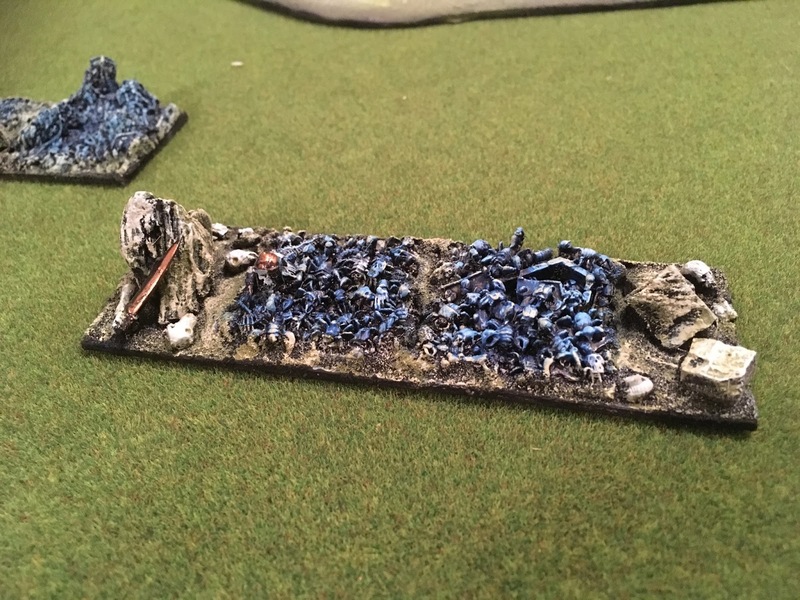 With the multi basing approach I decided to put 10 on a base, producing two regiments. The '10 figures per base' regime works well for these figures, the troop density sits well. The first photo juxtaposes the mummies with two regiments of spear. 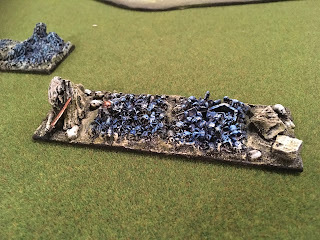 I have created coherence with basing technique, the spear accentuating red with blue gems, the mummies using the same blue on the shields. These have been a 'quick win' in painting terms with less effort having to be applied to assembly, leaving the energy for painting. 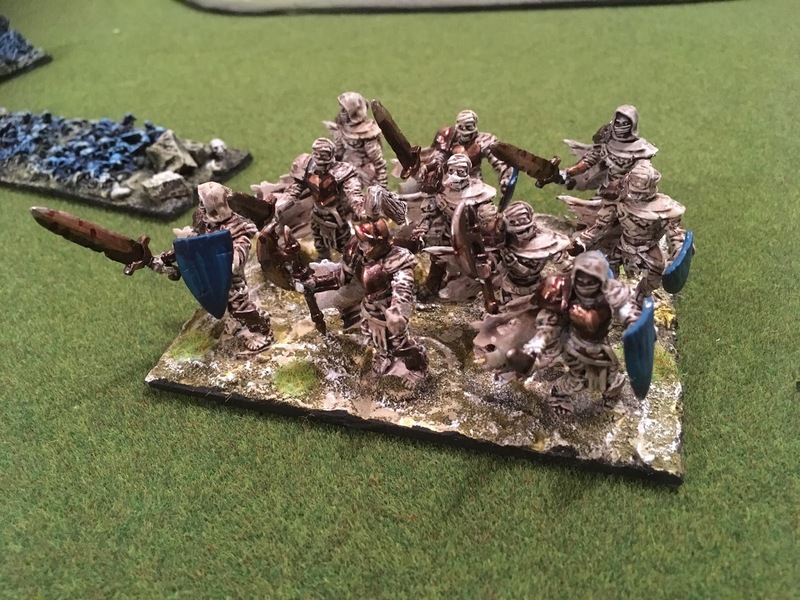 The army is finally coming together.